Frontline workers are the backbone of your business. Empower them with cloud-native, secure-by-design products for every use case with Chrome Enterprise. Learn more. 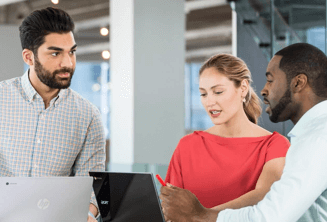 See how Chromebooks can help lower costs, simplify operations, reduce security risks and decrease downtime, over a 3-year period. Calculate savings. Workforce technology strategies can make or break employee experience. Get tips and best practices from Forrester and Google. Watch on-demand. Empower your cloud workers with the newest devices. 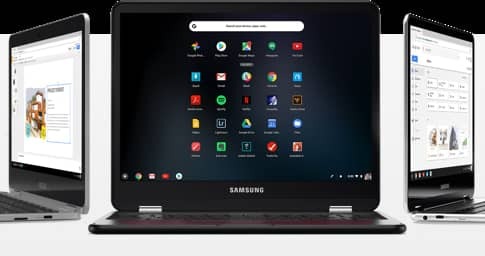 Find your Chromebook. A cloud-native operating system that's secure by design, simple for IT to manage, and easy for employees to use. 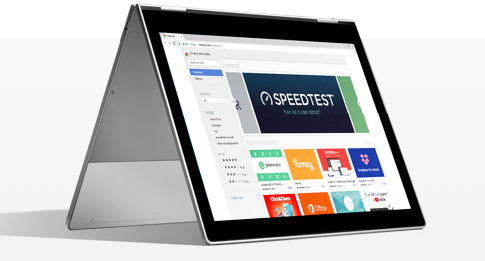 Chrome Browser provides a trusted, consistent browsing experience across devices, with built-in protections, centralized management, and enterprise-wide control for IT admins. 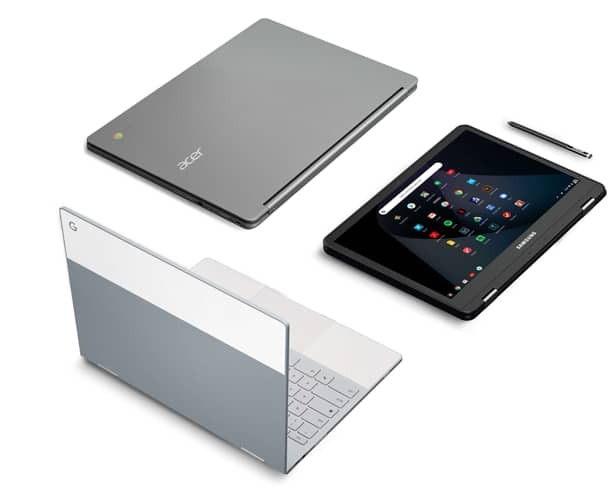 Choose from a wide variety of Chromebooks, including touch and convertible. Each device is built to empower all of your cloud workers, from the office to the field. How can Chrome Enterprise work for my organization? 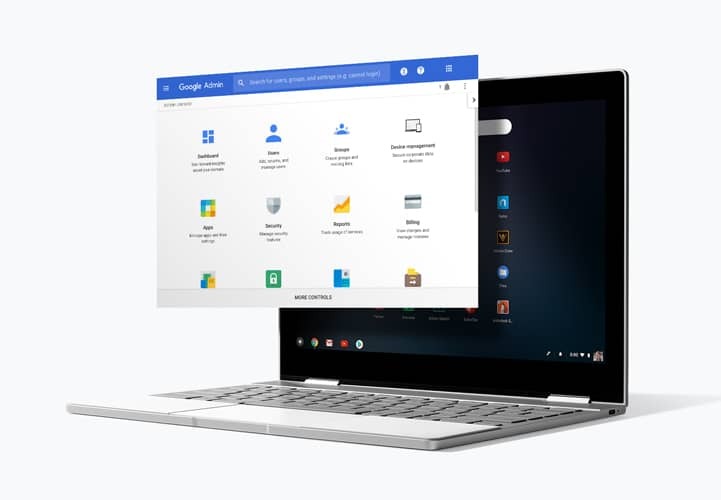 Simplify the way you run your business and build success with Chrome OS and Chrome Browser. 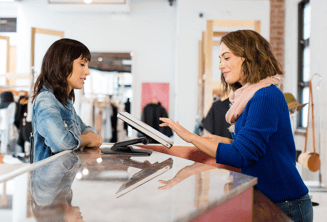 Create a better in-store environment for employees and shoppers alike with help from the cloud. 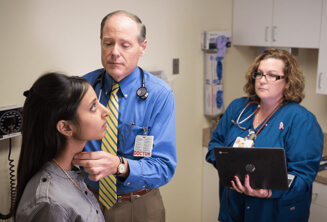 Take patient care to the next level with cloud-powered solutions that provide timely access to information. Regular updates, fast responses and fixes, scaled vulnerability discovery, and user-friendly security warnings proactively safeguard employees from unknown threats. *Total benefit over a three year period. How much can your organization save with Chromebooks? Most of your life is kept in the cloud — why not your business? Today’s workforce depends on cloud technology to stay connected. Tomorrow’s professionals will use it to stay productive as cloud workers. They’ll get more done, even on the “something-came-up-and-I-have-to-work-from-home” days. Chrome Enterprise seamlessly integrates with G Suite to migrate your data to one secure place that’s accessible from anywhere, across all devices. Read all about it. Chrome Enterprise has helped our organization ... foster a safer, more secure, and faster user experience for both customers and employees. LafargeHolcim uses Chrome Browser and Android devices to stay productive.